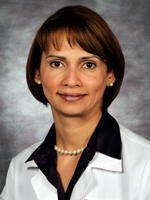 Dr.Nilmarie Guzman, M.D. Assistant Professor Department of Medicine Division of Infectious Disease Associate Program Director, Infectious Disease Fellowship; Associate Program Director, Internal Medicine Residency. A Stewardship Approach To Optimize Antimicrobial Therapy through Use of a Rapid Microarray Assay on Blood Cultures Positive for Gram-Negative Bacteria.